Who is in Egypt's High Military Council? Egyptian vice President Omar Suleiman announced on Friday that President Hosni Mubarak had stepped down and was handing over power to the Egypt Supreme Council of Armed Forces. - Omar Suleiman, 74, who was promoted by Mubarak as VP less than two weeks ago from his previous position as intelligence chief. He is among the retired or serving military officers in the council. - Field Marshal Hussein Tantawi, 75, who became the minister of defense and commander-in-chief of the Egyptian Armed forces in 1991, according to the network. 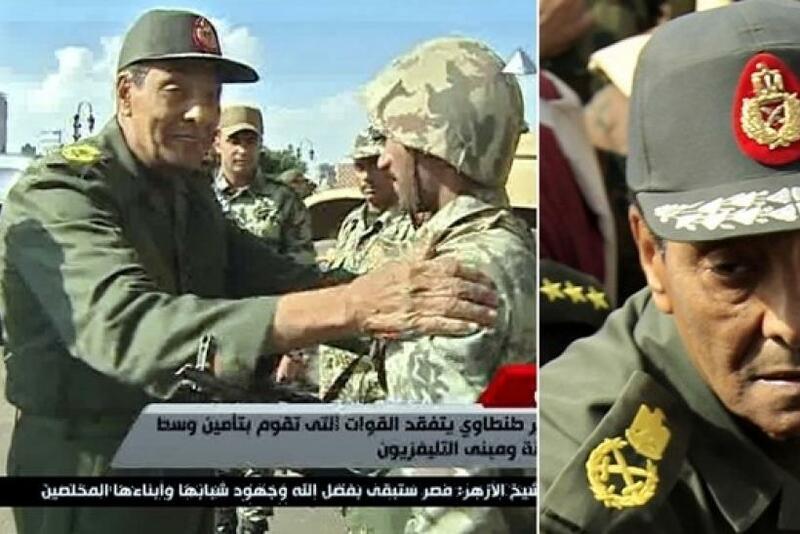 On the Egypt Armed Forces website, Tantawi is listed second on the list of commanders behind the Supreme Commander, Hosni Mubarak. - Lt. Gen. Sami Hafez Anan, 63, who holds the title of Armed Forces Chief of Staff, according to the network. Anan is listed third on the armed forces website, behind Tantawi. - Air Marshal Reda Mahmoud Hafez Mohamed, 58, the air force chief, is also on the council, Al Jazeera reported. - Vice Admiral Mohab Mamish, chief of the navy. The council issued a statement on Friday ahead of the announcement of Mubarak's resignation, the Associated Press reported. The council said it would guarantee the implementation of several steps. The first step included ending the state of emergency law once the present circumstances end, an outcome of the (court) appeal against the parliamentary elections and the measures that will follow, and implementation of the constitutional amendments and holding a free and fair presidential election in line with the agreed constitutional amendments. The second step included shepherding the legitimate demands for the people with firmness and accuracy to ensure their implementation within a definitive timetable until the realization of a peaceful transition that produces the democratic society to which the people aspire. The third included a promise not to detain the honorable sons of the nation who rejected corruption and demanded reform, and stressed the importance of resuming work at government's services, the return of normal life in order to preserve the interests and the achievements of our great people.